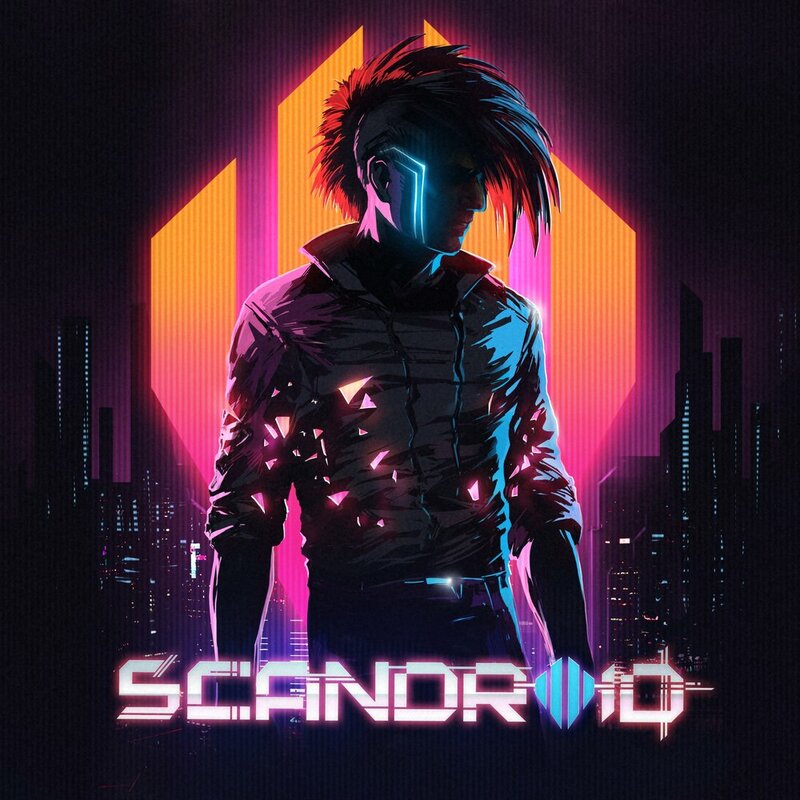 Scandroid - Self-Titled - NewRetroWave - Stay Retro! | Live The 80's Dream! It’s obvious within the first few minutes of Scandroid’s eponymous debut to realize that this album is from a higher league. 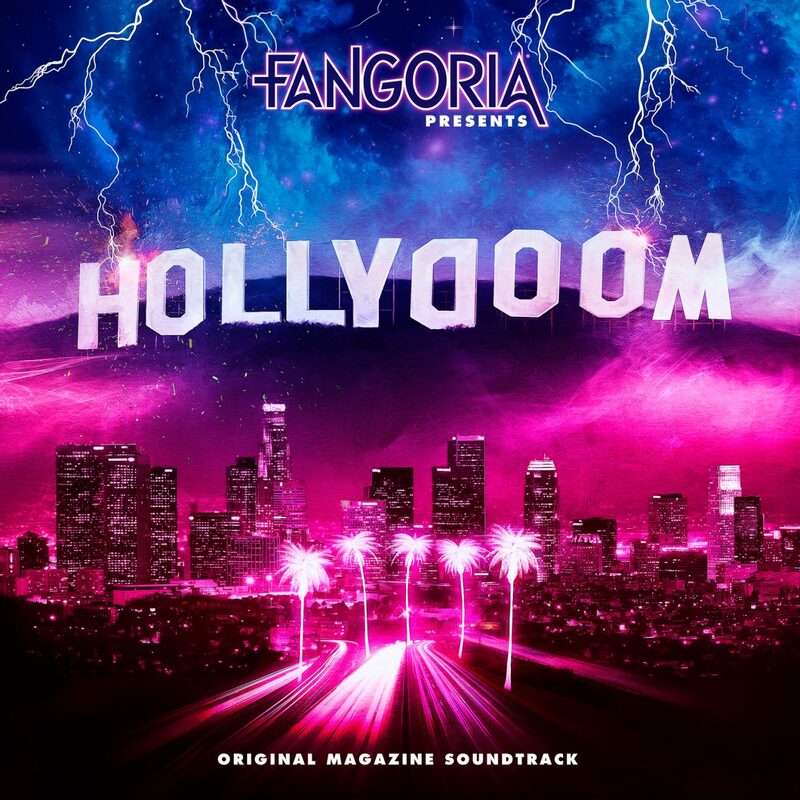 The John Carpenter-esque commitment to atmosphere combines effortlessly with strong melodies, squelching bass synths, and vocoder vocal lines that are equal parts cool and camp. “2517” works as a solid blueprint for the rest of the album, albeit one that is not followed to a T. The significantly more upbeat “Salvation Code” follows, and this is where the Detroit-based artist truly hits his stride. This is a song constructed almost entirely of hooks, with every element seemingly designed to be an earworm. The vocoder-laced vocals work even better on this track, as the intensity of the effect fluctuates throughout the song. 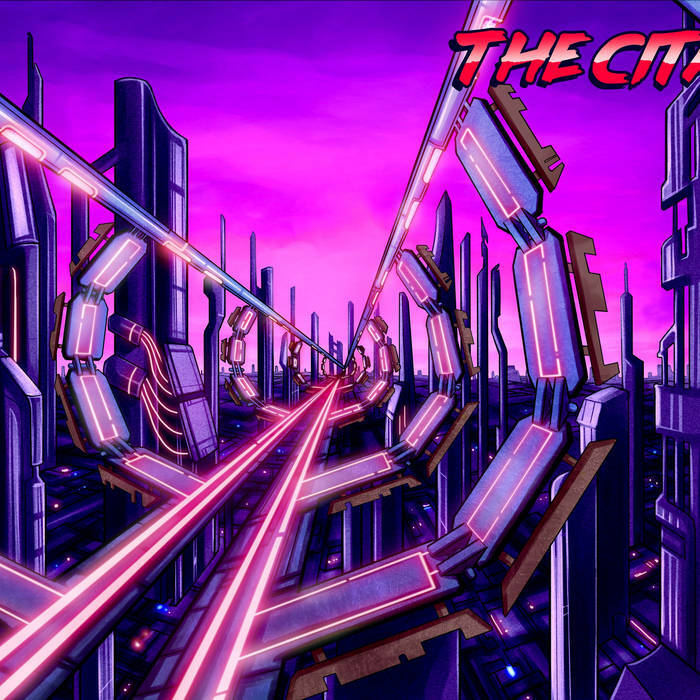 Overall, it is a definite highlight of the album and is certainly a contender for the best vocal synthwave track of the year. The female backing vocals mixing with the primary vocal track and the occasional glitch-effect push this song to the level that resides. Scandroid’s cover of Tears For Fear’s seminal hit “Shout” is another high point. It doesn’t deviate much from the original, and the vocals even sound uncannily similar to Roland Orzabal’s vocals on the original. The percussion at various points in the song is interesting enough to warrant the song’s appearance on the album. The following song, “Destination Unknown”, is the second best track on the album. It is one of the rare occasions where a song uses a traditional 4/4 time signature but sounds like it doesn’t. I listened to the intro melody about a dozen times before listening to the entire song through just to try to make sense of it. It has the arcane quality of Mike Oldfield’s “Tubular Bells pt. 1” (the Exorcist film theme) without actually resorting to 15/8. It’s a very progressive song. There is a wealth of campiness in many of these songs – especially the vocal tracks. Some of this comes from the lyrics, which play heavily into the science-fiction fringes of the scene, but there is also some found in the music. Nothing ever sounds hokey, and the songs are stuffed with melody, but some listeners may be turned off by the tongue-in-cheek feel that some parts of the album have. Those that like it will love it, as there is rarely a moment that isn’t fun or interesting in some way. There is also a real sense of urgency permeating through the album. There may be a focus on the atmosphere in many of the intros and bridges, but the songs refuse to sit in the background of anything. They are mixed well and hit hard throughout. The vocal tracks generally are stronger than the instrumentals, and when they really click it makes the entire track that much more intense. Effects on the vocals will often increase in intensity as the emotional delivery increases, leading to some great instances of controlled chaos. The instrumentals are not bad by any stretch of the imagination, no matter what moniker he produces under, Scandroid / Klayton / Celldweller is an accomplished producer who is clearly at the top of his game. It plays within the genre enough to seem familiar and not off-putting but has a true wealth of idiosyncrasies that push the album into the realm of being something special.